Bob's top ten movies of 2017! Movie Double Take reviews Titanic. Where does it rank? 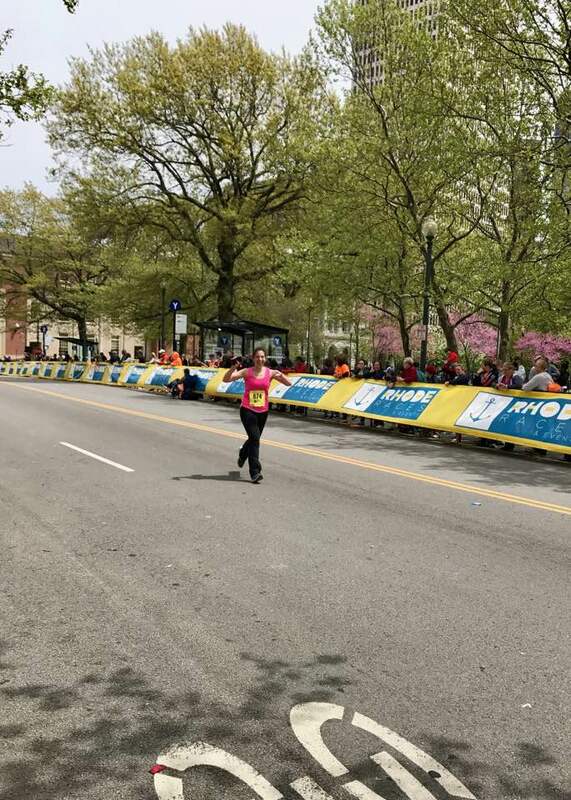 Allie's Running the Boston Marathon! I am writing today on a slightly non-movie related note. Well, alright, pretty much a completely non-movie related note. I am running the BOSTON MARATHON this April with a charity team that is a leading cancer institute in Boston and spearheads innovative cancer research. I am running in honor and in memory of two of my grandparents, both of whom passed away from cancer. Why am I posting this here? Because I need your fundraising help! And HERE IS WHAT WE PROMISE. we'll explain the ending of Inception to you. you can explain the ending of Inception to us. if you comment online that a horrible movie is great, we'll back you up and pretend that it's good. we'll watch a Ben Affleck movie and review it (you know I'd work my fave Boston guy in here somehow!). we'll rewrite famous film quotes to make them about you (e.g., "Here's looking at you Chad," "You had me at Helen," "Frankly My Dear, I don't Give a Dan"). we'll make a personalized movie recommendation suited to your taste. we'll watch a movie of your choice and review it. we'll write a 5-page screenplay about you, based on any direction that you give us. If you make a donation, please comment below so that we can make good on our promise to you! We're reviewing every single movie on AFI's List of the 100 Greatest Movies of All Time. We'll tell you why they matter, how they hold up, if they belong on the list, and then re-rank the 100 movies by quality! Today's film: Forrest Gump. Find the master-list here. Moviedoubletake continues their assessment of AFI's 100 Greatest American Movies of all Time with #66, Raiders of the Lost Ark. The Witch (91% on Rotten Tomatoes). Some artful direction may be enough to sell critics on a stale horror movie, but I was let down by how conventional this artsy horror film turned out to be. If you ever think the cards are stacked against you, look to Ouija: Origins of Evil for inspiration. A prequel to an awful horror film based on the horrible boardgame/toy, Ouija, it is truly astonishing this wasn't awful. In fact, it was pretty good. Aside from some indulgence in cliches at the end of the film, Origins of Evil was surprisingly gripping, intelligent, and creative. Popstar: Never Stop Never Stopping (77% on Rotten Tomatoes), Sausage Party (83% on Rotten Tomatoes). Film comedy is in a serious rut. It feels like every wide-released comedy is a lazily and hastily written excuse for a vacation for the same 10-20 people that star in every comedy being released these days. These two positively reviewed comedies promised ambition and laughter absent from the rest of the drek released in the year (Office Christmas Party, Bad Moms, Why Him etc.) but ultimately both fell flat for me. The umpteenth film based on a Nicholas Sparks movie, I am absolutely flabbergasted this came out in 2016. It left so little of an impression, I couldn't remember it less if it was a dream of a memory of someone else describing the movie. Two radically different films (a pretentious art-house sci-fi and a blockbuster franchise debut), both were equally terrible. High Rise was so bad it literally brought Allie to tears. 10. The Fits: A small film about a young female boxer that joins the dance team to fit in with the girls (and also everyone suddenly falls ill to a mysterious seizure) is reminiscent of early David Gordon Green films, creating its own poetic, surreal little world. The central metaphor of the movie is a little on the nose, but I haven't seen another movie that feels quite like it. 9. Ouija: Origins of Evil: No, this is not a joke. The fact that Ouija is not a horrible travesty of a film is a testament that any story can be great in the right hands. Disappointingly conventional ending aside, Ouija succeeds by developing interesting sympathetic characters instead of relying on cheap jump scares and tense music. 8. Swiss Army Man: Better known as the movie where Harry Potter plays a farting corpse, Swiss Army Man, is so inventive, charming, and bizarre, it's tough not to be won over by it by the time it ends. The humor is a little too juvenile for its own good (at times the movie feels like it was written by two very clever middle schoolers), and the film doesn't really get going until 20 minutes in, but if you can get past those shortcomings, you'll find one of the most original, inventive movies of the year. 7. Don't Breathe: 2016 was a terrific year for horror movies that are much smarter and better than they would appear to be on the surface. While the central premise (a group of amaterur criminals break into someone's house and find themselves in over their heads) is well-executed and tense, it really won me over for the cleverly conceived surprises throughout that keep you on your feet and challenge your preconceived notions about the characters on the screen. 6. Manchester by the Sea: There's not a false note in this film (some faulty Massachusetts accents aside). Its strengths are in its subtelty, attention to detail, and a sympathy and understanding of every character in the film, not just its protagonists. 5. Krisha: A family Thanksgiving dinner directed as if it were a horror movie, this minimalist film about family, disappointment, and the stories we tell ourselves is impressive for many reasons, including the fact that almost the entire main cast is the director's actual family. 4. 10 Cloverfield Lane: This tightly written, brilliantly successful thriller is done a major disservice by its Cloverfield title. It's a Cloverfield movie by title only, in the same way a student hands in an old assignment for a class and changes the title and conclusion. 3. Arrival: A thoughtful, intelligent science fiction film that manages to merge a big-idea story with a personal one. It's not perfect (somewhat slow pacing and some reveals happen long after they're clear to the audience) but it's successes far outweigh its short comings. 2. The Lobster: Why aren't there more films like The Lobster? Funny, absurd, and singular in its vision, The Lobster is essential viewing for anyone with a dark sense of humor and a taste for the absurd. The first half is absolutely brilliant, while the second half loses some momentum, but it's still one of the most memorable movies I've seen in a long time. 1. Everybody Wants Some: Films that make you cry get too much credit. Tears are easy: kill a beloved character who's done nothing wrong, give a precocious child cancer, prevent two lovers from being together--easy, peasy. Films that make you happy to be alive, that's the real challenge. Richard Linklater has a special gift for making films that have an infectious positivity and a zest for life. In Everybody Wants Some, Linklater takes characters that would be a one-dimensional joke in any other film (an '80's college baseball team) and makes them sympathetic, funny, interesting, and surprising. 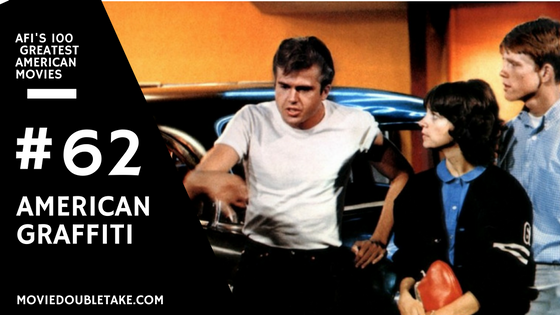 We're reviewing every single movie on AFI's List of the 100 Greatest Movies of All Time. We'll tell you why they matter, how they hold up, if they belong on the list, and then re-rank the 100 movies by quality! Today's film: American Graffiti. Movie Double Take Reviews the #11 movie in AFI's list of the 100 Greatest American Movies of all time: City Lights. How does it hold up today? How does it rank to the other 99 movies on the list? Read on to find out! An introduction to our most ambitious feature yet: We review the 100 movies listed in AFI's 100 Greatest American Movies of All Time, then re-rank the list. The 10 Best Movies of 2015!